I've been trying to sort of compile things that happened which has led to the confusion and current sort-of MIA status of Zouis. It might be completely meaningless, i just like trying to figure things out when they're shady af. On the 20th a few people said that Eleanor and Sophia was at the concert in Perth (Sophia hasn't been spotted with Liam in Japan though). I don't know whether the supposed Eleanor sighting (sighting sound like it's some sort of mythical creature, but i don't know what else to call it?) has any relation to the fact that Louis is now (maybe) completely missing in action, but i just thought i'd mention it, because it might. Then Harry, Liam and Niall flew to Japan after the concert in Perth where Zayn walked out midway through because he was too sick to continue. 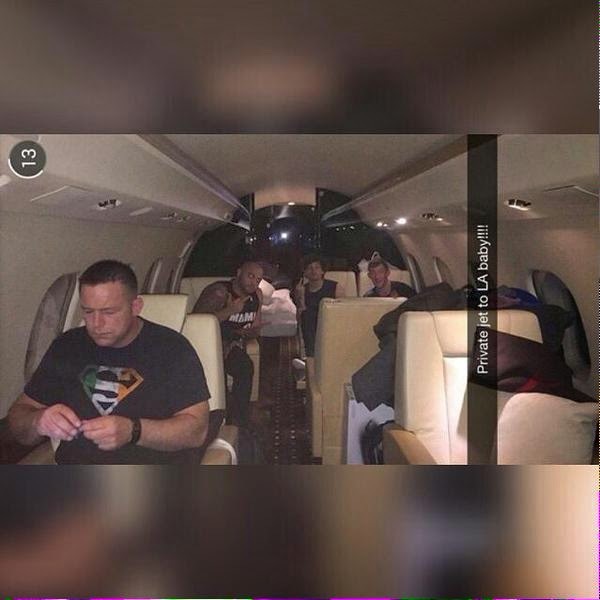 While H ,Li and N where on the plane, Update accounts ( i don't know which one did it first) began posting a snapchat of Louis and Oli on a plane with the caption "Private jet to L.A baby!!!!" Zayns bodyguard Preston is there too, so he i definitely also there. Some accounts only posted a cropped picture, with one saying "there's a reason that plane picture was cropped" without giving any further information. From my point of view that could mean that either 1: the caption is wrong and Louis isn't going to LA or 2: the picture isn't recent, which i why the caption isn't relevant or 3: that there i something in the picture worth noticing asides from the obvious. It could just be the fact that you can't see Zayns bodyguard in the cropped version. Some just said they were flying "elsewhere ;)" and stuff like that, not specifically mentioning a location. 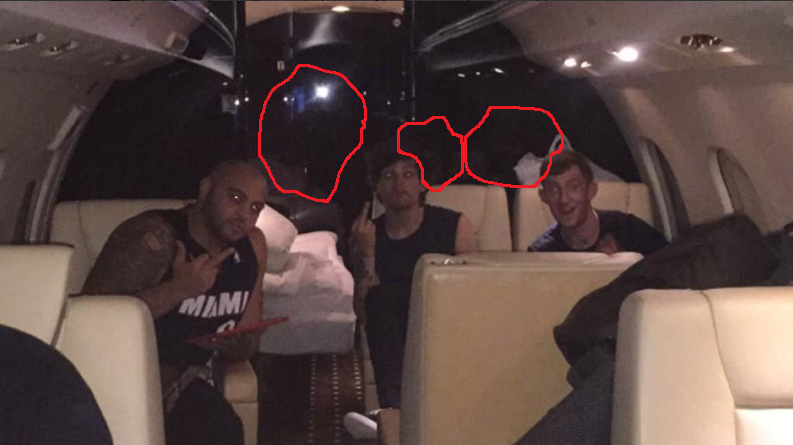 LA-stalker-crew were obviously all going crazy and driving to the airport to wait. These are two different girls. One of them also tweeted, and shortly thereafter deleted "@zaynmalik thanks for stopping" sometime before those "You're joking" ones. Which... Hm. "if only you knew what happened" seem to sort of fit my mood right now. It still makes zero sense that they would actually be in LA. Partying. Zayn was so sick he couldn't perform right before they took the flight right? Not to mention their show in Osaka, Japan on the 24th and the flight from LA to Japan is LONG. Like 15 hours long on a public flight. It leaves them a maximum of say, 36 hours in LA? The only reasonable explanation to go to LA for such a short time would be if they had to work. They have three drunk bandmates in Japan (or two according to tweets, but you know, H was probably with them), so if they wanted to party they could go there instead of flying approx. a million miles to LA. ..and apparently they don't believe in the Eleanor/Sophia sighting anymore.